Usyk vs Gassiev WBSS Cruiserweight Title Fight – The Battle You’ve Been Waiting For!! Usyk vs Gassiev for the undisputed Cruiserweight Title! – The Battle You’ve Been Waiting For!! 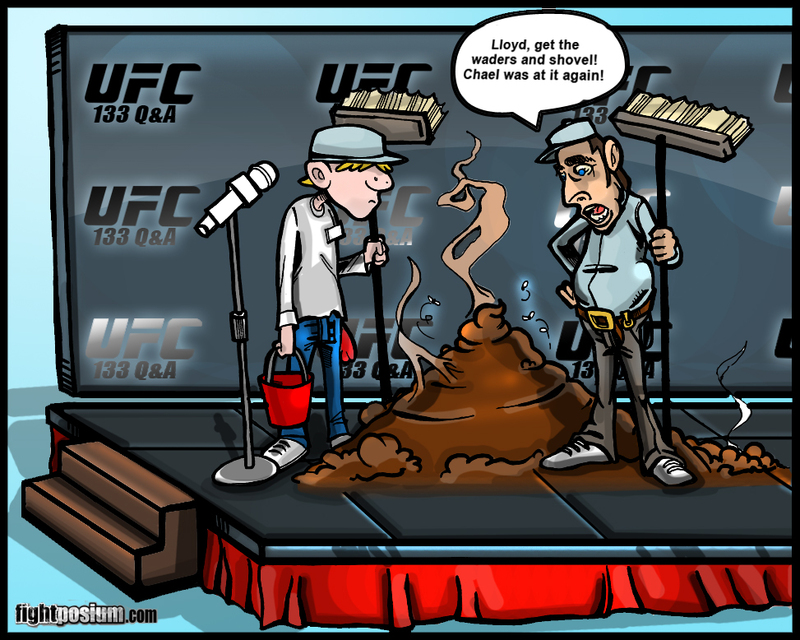 Make way for the Chael sideshow! For me, it’s hard to put up with Chael’s delusional rant’s for more than a minute or two. The guy can talk and talk with the best of them but when it comes time to shut up and put up, the man simply chokes. I am talking about title fights. Chael can whine and talk trash about his loss to The Spider but that doesn’t change the fact that he got tapped out by a well executed move. If he is such the stud he claims to be he would have went to sleep before he tapped out. Why else would one be caught for taking steroids? Simple, Because Chael knew in his heart that he needed every advantage he can get to face the dominate World Champion in Anderson Silva!